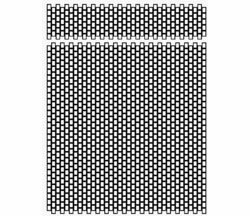 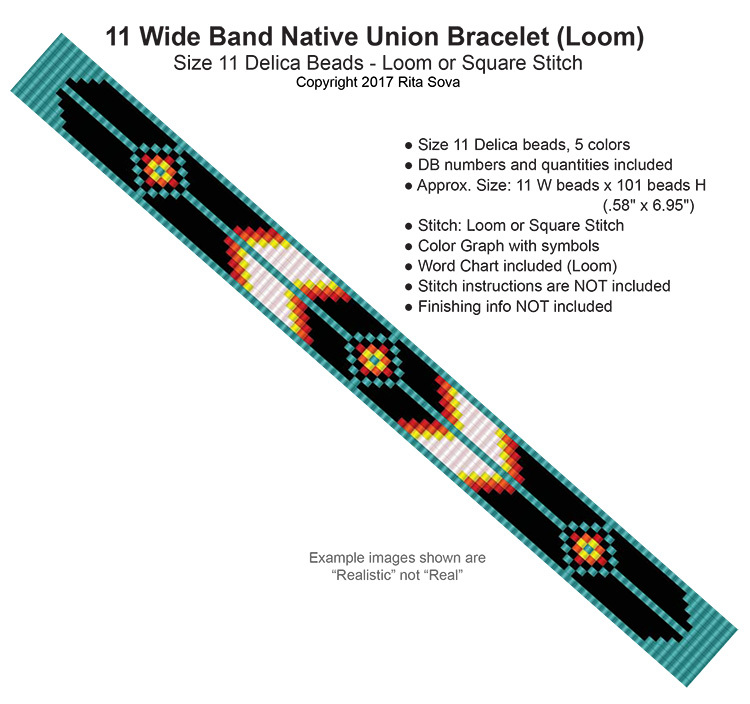 This design introduces you to the basic techniques of tubular and circular peyote stitches. 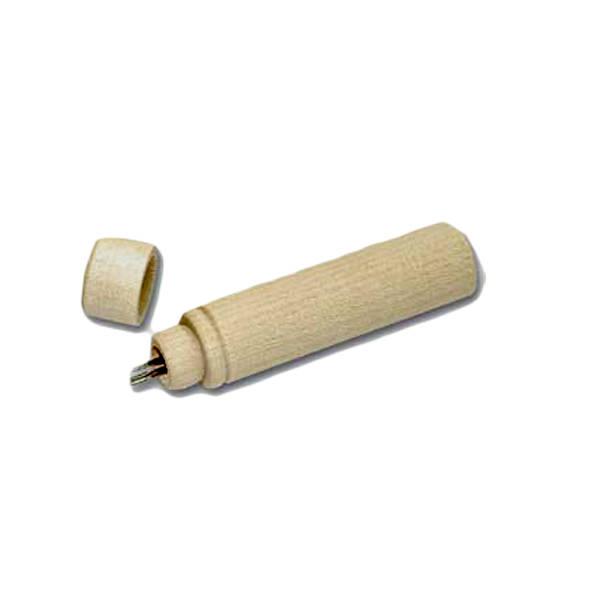 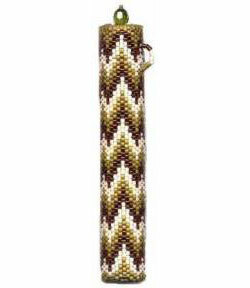 Learn how to follow a pattern while making a beautiful cover for a long wooden needlecase. 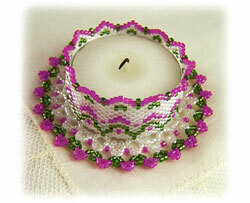 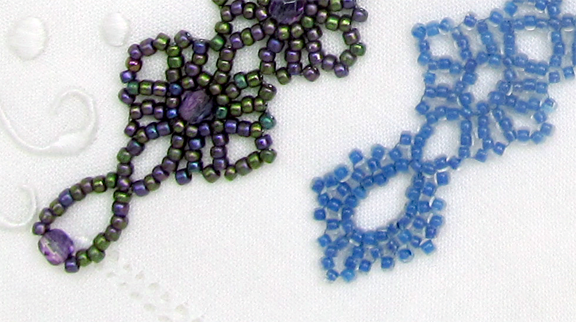 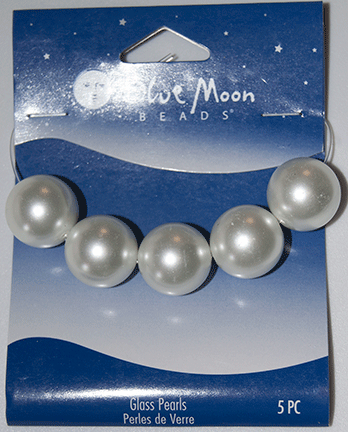 Uses 3 colors of delica beads. 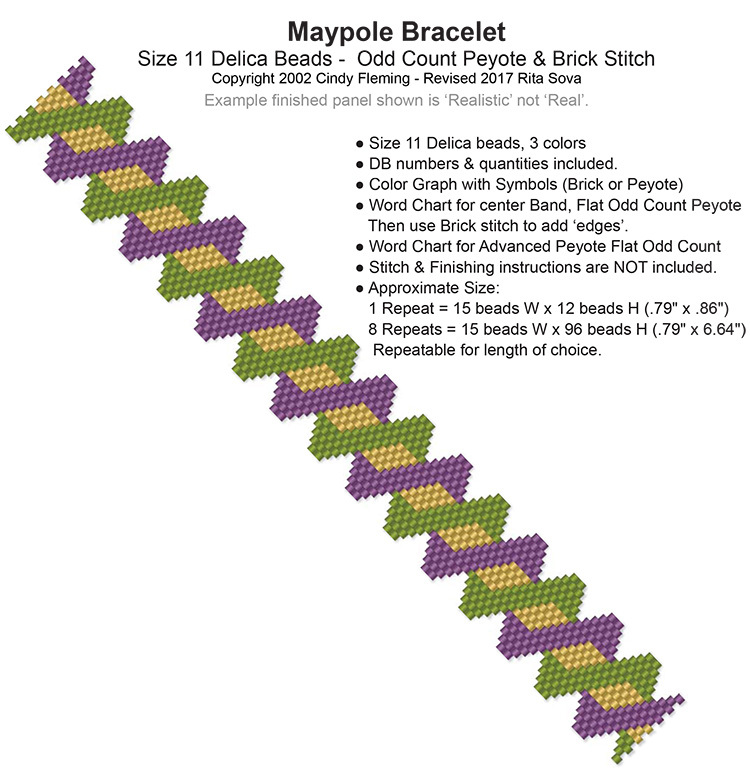 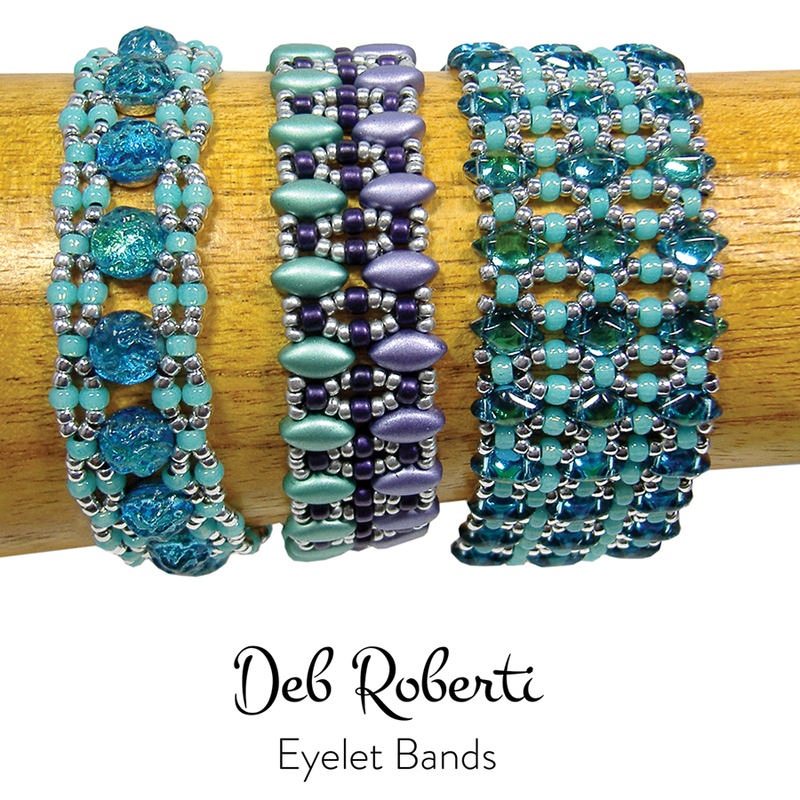 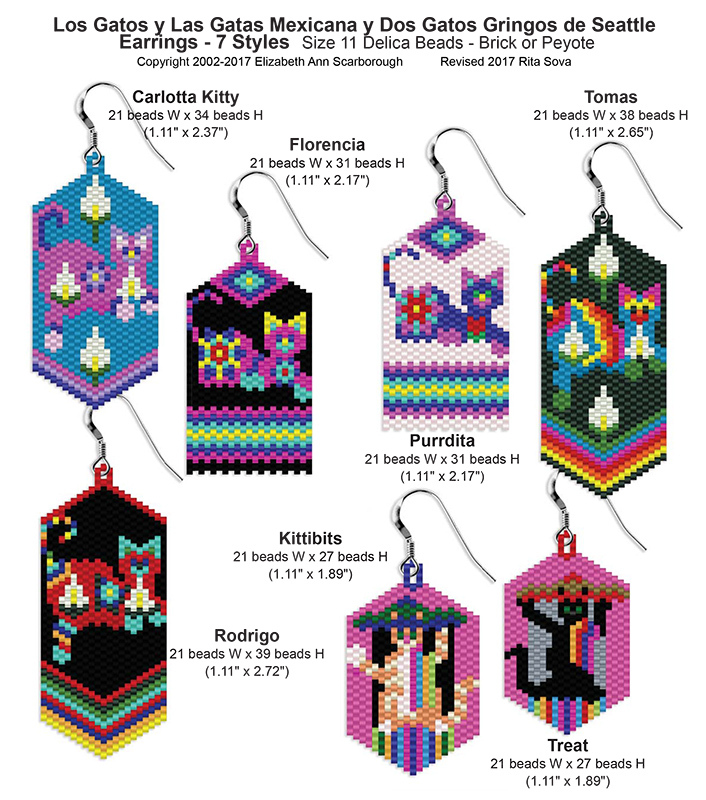 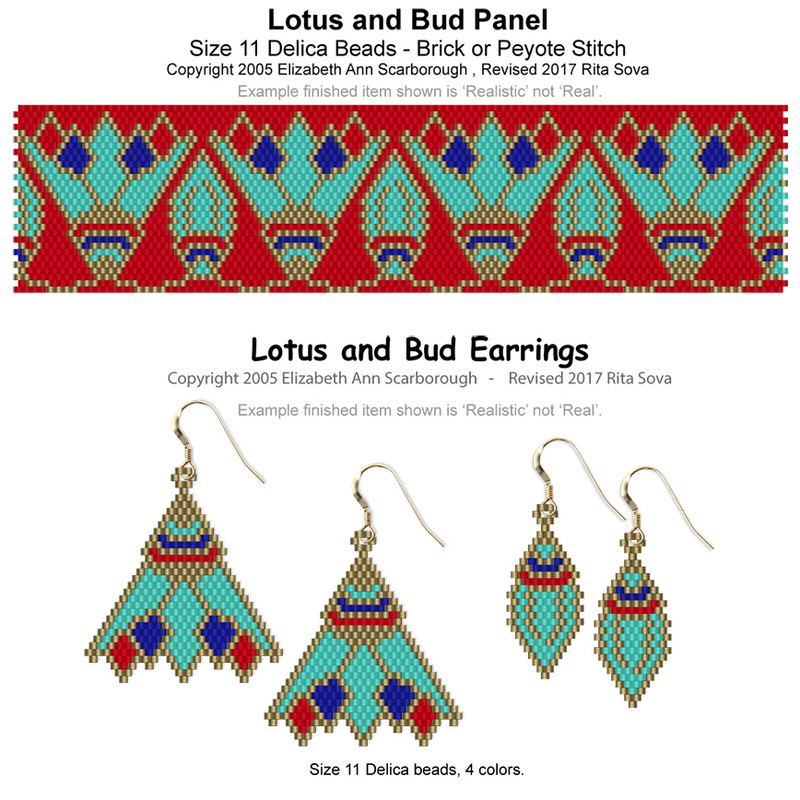 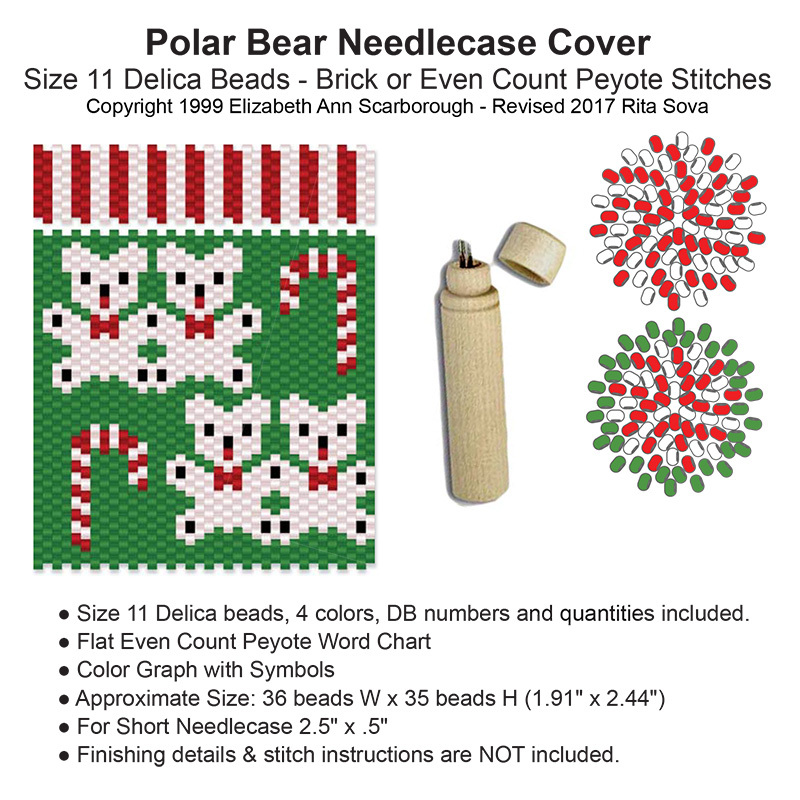 Pattern includes illustrated instructions for tubuIar peyote, row-by-row instructions for the needlecase top and bottom as well as joining them to the needlecase, lid embellishment, beaded connector, and a large color graph with color key and suggested delica colors.